I can’t wait to try this. I have looked on line before, but evidently I was looking in the wrong place. Have a wonderful Easter. I know I will after I make this recipe. It sounds like my mother’s. I’m a 78 year old great grandmother that failed to learn this most important recipe. Thanks Leandra. 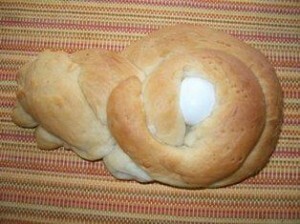 It is Easter and time to bake the pane!